You currently manage your business with a hodgepodge of paper, spreadsheets, and some online applications, but nothing is ever in sync. You don't have correct, up-to-date information, and that costs you time and money. 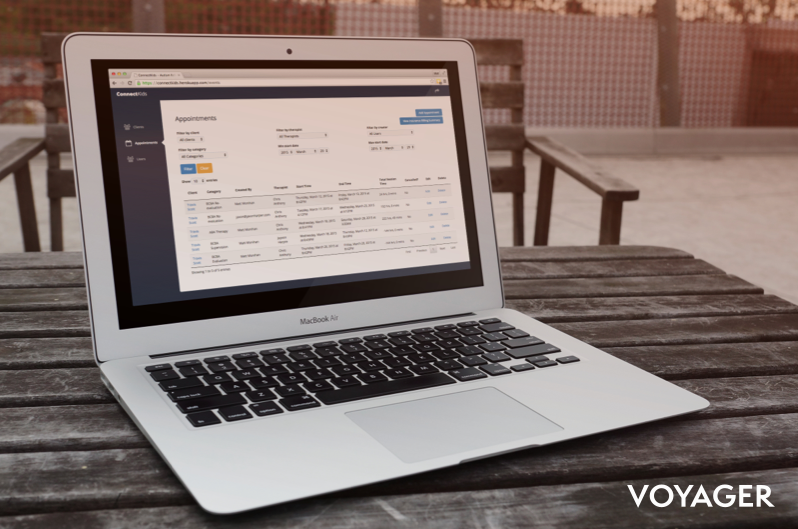 Voyager saves you money by automating parts of your business with software. We tell you what to build. We tell you what to buy. And then we integrate them into one coherent solution. There's no reason to reinvent the wheel. So, buy it when you can. Voyager has allowed us to continue to grow our outpatient therapy programs at a rapid clip. We've reduced our per case billing time 85%, from 20 minutes to 3 minutes, and increased productivity of our back office staff, which amounts to a savings of $45,000 annually. The back office efficiency the system created has allowed our company to make needed investments in our key clinical staff and systems; ultimately improving the lives of the children we serve. Could your business use an extra $45,000 every year?